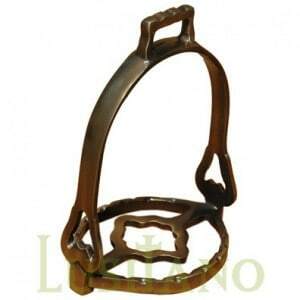 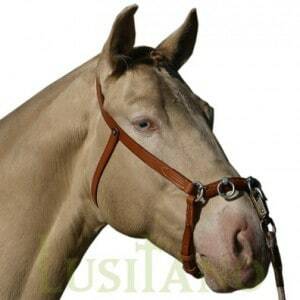 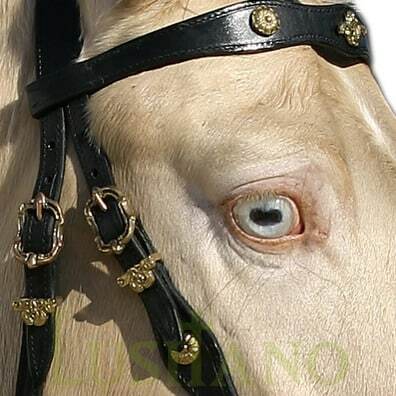 The Portuguese baroque bridle has ornamented browband and noseband which are straight and then oval in shape. 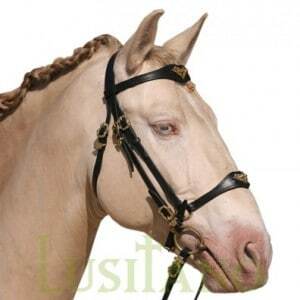 It has baroque buckles and 1 set of ornamented reins. 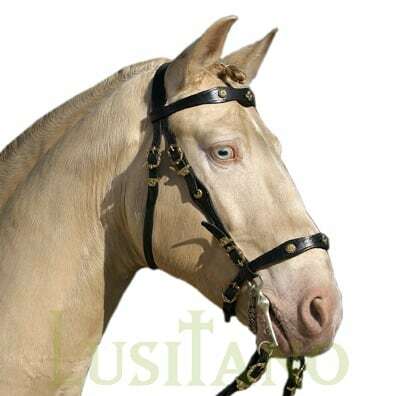 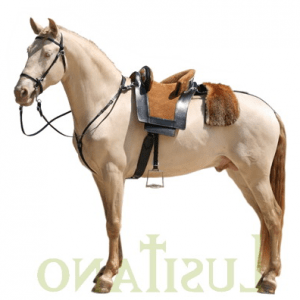 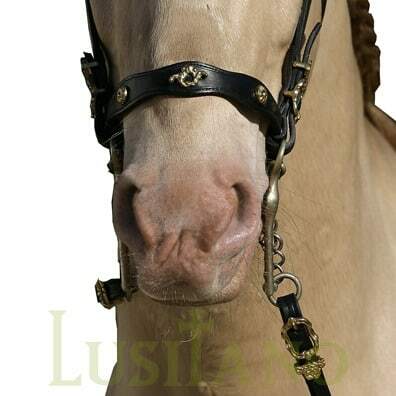 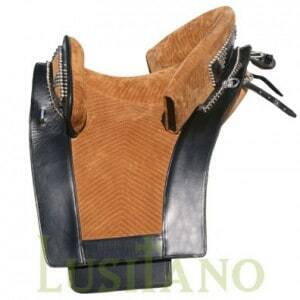 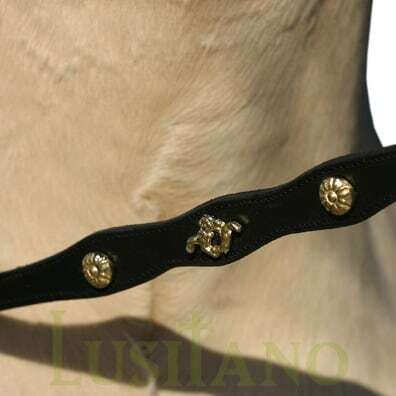 Portuguese baroque bridle, from the Lusitano brand, is handmade in Portugal and is on sale at the Equestrian Web which is the equestrian online shop of Portugal Web: Portuguese baroque bridle.